Chiastek provides high value added solutions for Model Based System Engineering of complex products in the aerospace, automotive, and other industries. 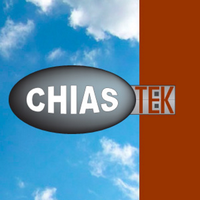 Chiastek offers products and related professional services to help engineering organisations in their CAE challenges: How to simulate complex systems which embody multiple physics, employ multiple solvers, and span geographic and company boundaries? How to optimize system design? Cosimate is a co-simulation conduit that links heterogeneous simulators representing different abstraction levels, physical, and mathematical systems. It allows engineers to develop simulations of different subsystems in the most appropriate tool for their domain and then co-simulate the larger system by running the subsystem simulations in parallel. CosiMate technology overcomes the accuracy degradation problem by allowing engineers to easily co-simulate complex systems and derive the combined benefit of a full system overview while obtaining dramatic performance improvements in simulation time. For more information please contact us: info@raceconsults.com.